For a few days Susan from NASAD (National Association of Schools of Art and Design) is checking us out in the MSSU Art Department. 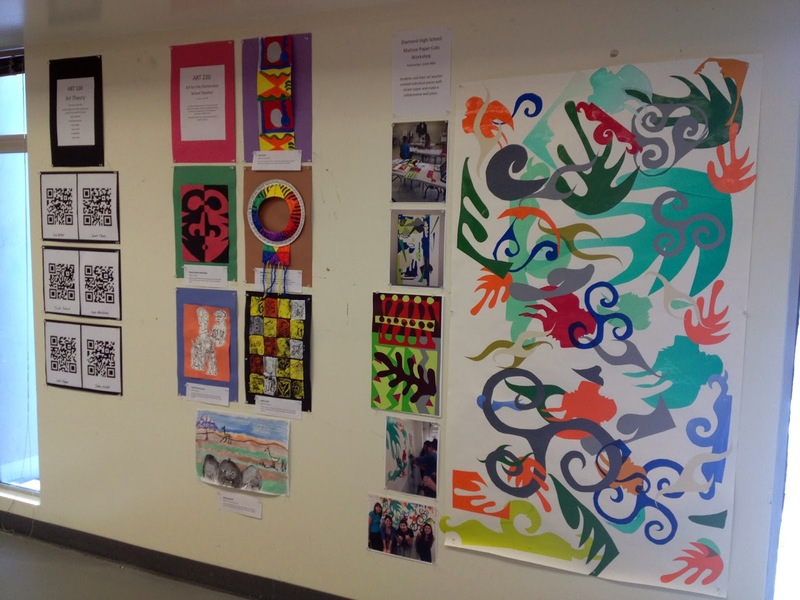 I put this display together of classes I teach: Art Theory QR codes of student blogs, Art for Elementary projects, and a Diamond High School Matisse workshop. I love the internet, but it's refreshing to see real stuff on a real wall sometimes!